Day-to-day, my number one task is looking after our customers. Alongside this, I implement compliance standards, manage my sales team and live the Jardine Motors Group Values. I started at Land Rover in Slough in 2014 as a Sales Executive and within 6 months I was promoted. Since then, I’ve continued to develop myself and was part of a small group nominated for a Sales Managers of the Future course. This gave me an idea of a day to day role of Sales Managers, learning everything from accounts to HR processes. The environment we work in couldn’t be any better! The facilities are state-of-the-art, and it’s a privilege to work in a multi-million pound building which I wake up every morning, wanting to come to. I’m always on-hand for any enquires, be it over the phone, web or showroom based. 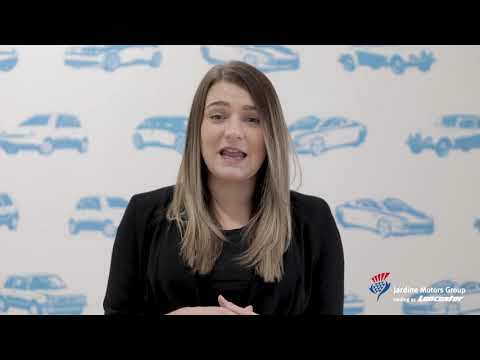 We have a customer journey that we work to across Jardine, so I ensure that my team and I are also working to our group standards, showcasing our values and offering an exceptional customer experience. It’s a good laugh working in my dealership, which I often describe as one big Karaoke, as we’re often caught singing across the room when we don’t have customers in! it’s great to work somewhere where I can be myself and am offered flexible arrangements to suit my home life. I achieved my Senior Sales Executive status within 6 months of joining Jardine Motors Group and apart from making A LOT of tea, most of my time is spent speaking with customers, taking them on test drives and talking about MINI’s. I am Certified through Audi UK and I work for an exceptional site, having received Large and Best Dealer in the UK awards for two years in a row. As I’m sure you can imagine, that means it’s a very high paced environment I work in, so I have to be extremely organised in order to continue to be successful. Our Sales Executives are experts in championing customer experience at site. Building rapport and getting to know their customers well enables them to offer bespoke experiences within their dedicated product range. Our Product Experts and Digital Sales Advisors are always on hand to help our customers, offering expert insights on the finer details of the products we offer in a prompt amd helpful manner – our true brand geeks! Our sales and corporate department administrators are a key support, conducting all required processes and checks to ensure prompt and organised vehicle handover.